This position is located at PETCO Park, the current home of the San Diego Padres. Sportservice at PETCO Park is the premier provider of concessions, premium services, catering and retail. This facility holds 46,000 spectators at any given event. Please visit https://www.delawarenorth.com/venues/petco-park-mlb-san-diego-padres for more information. Delaware North is one of the largest and most admired, privately-held hospitality companies in the world. Founded and owned by the Jacobs family for nearly 100 years, it is a global leader in hospitality and food service with operations in the sports, travel hospitality, restaurants and catering, parks, resorts, gaming and specialty retail industries. 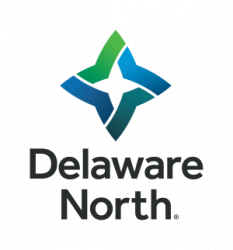 Delaware North has annual revenue exceeding $3 billion with 60,000 employee associates. To learn more, visit www.delawarenorth.com.